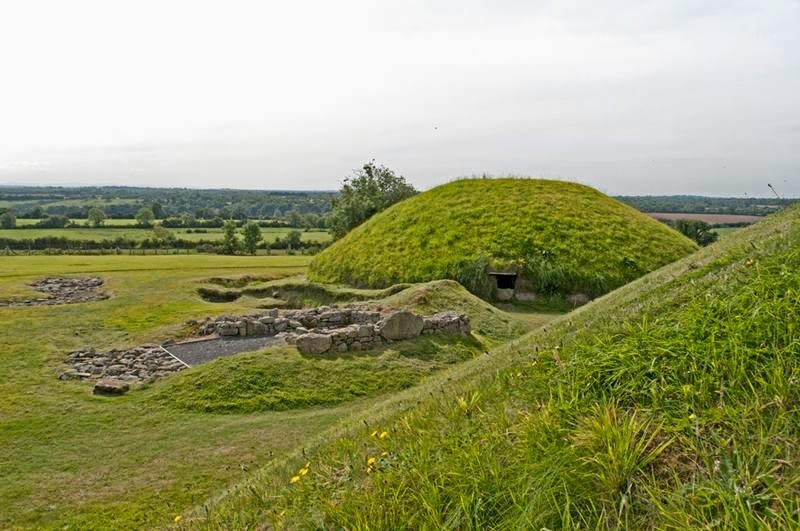 Brú na Bóinne is also known as the Bend of the Boyne or the Boyne Valley, Ireland. 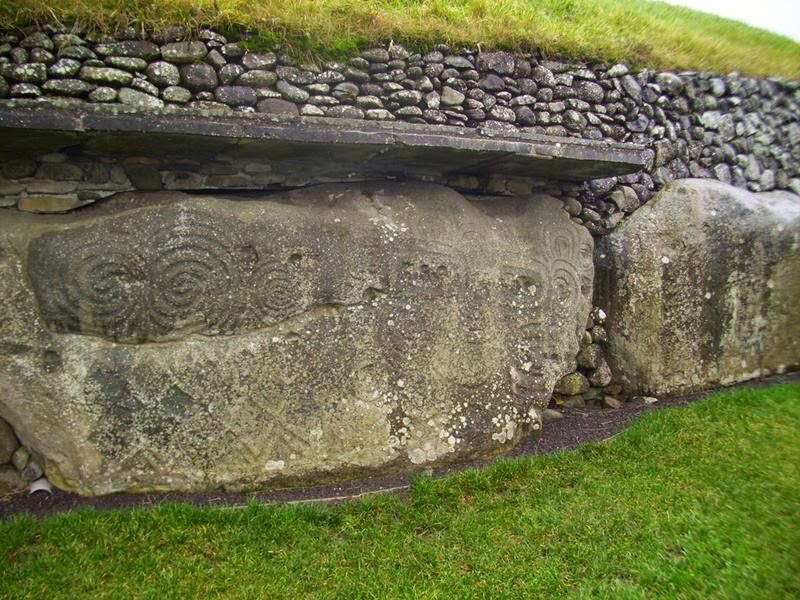 The word Brú na Bóinne which means the ‘palace’ or the ‘mansion’ of the Boyne, The three main prehistoric sites of the Brú na Bóinne Complex, Newgrange, Knowth and Dowth, refers to the area within the bend of the River Boyne which contains one of the world’s most important prehistoric landscapes. 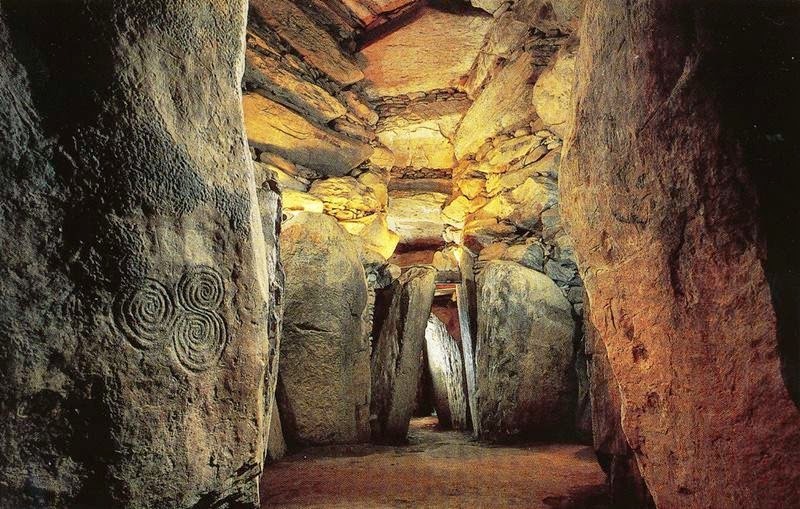 It is located close to the east coast of Ireland approximately 40 km north of Dublin city, about 8 km west of the medieval town of Drogheda and about 5km east of the village of Slane. 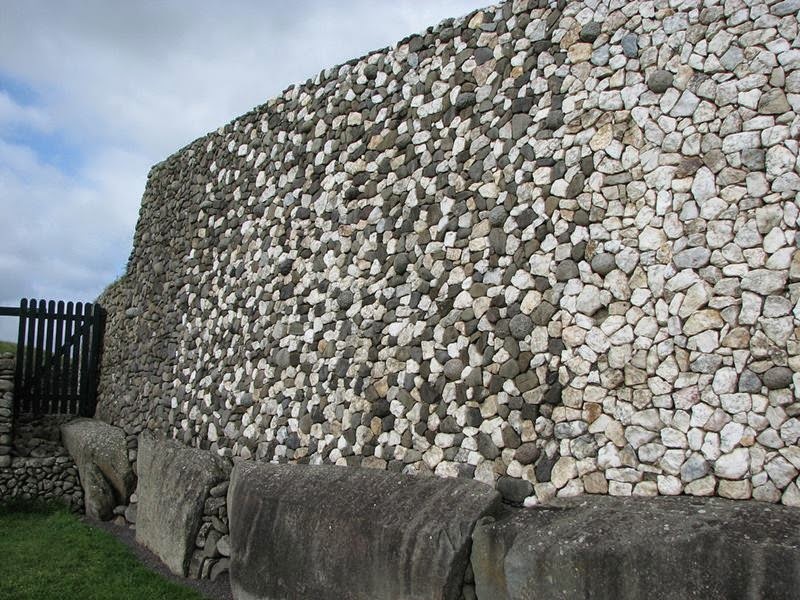 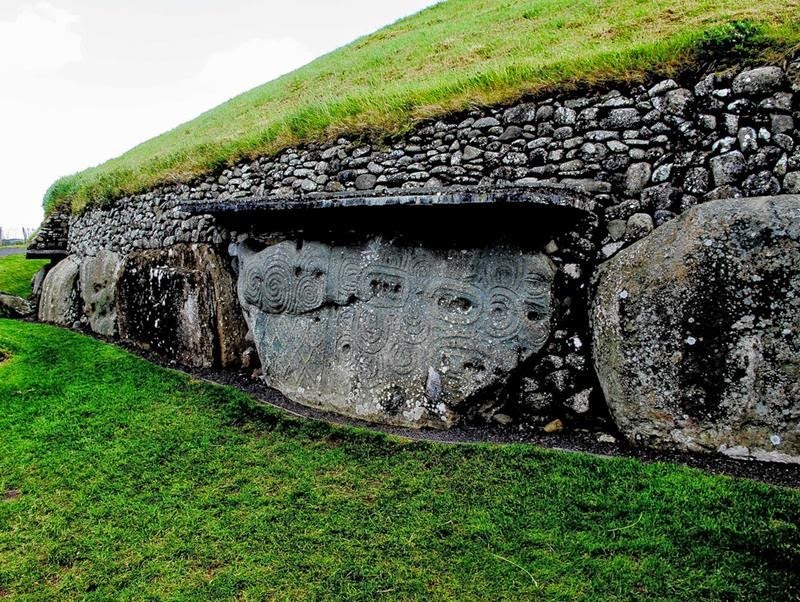 Brú na Bóinne is a World Heritage Site in December 1993 in the County Meath, Ireland and is the largest and one of the most important complex of Megalithic sites in Europe, dating back to the Neolithic period. 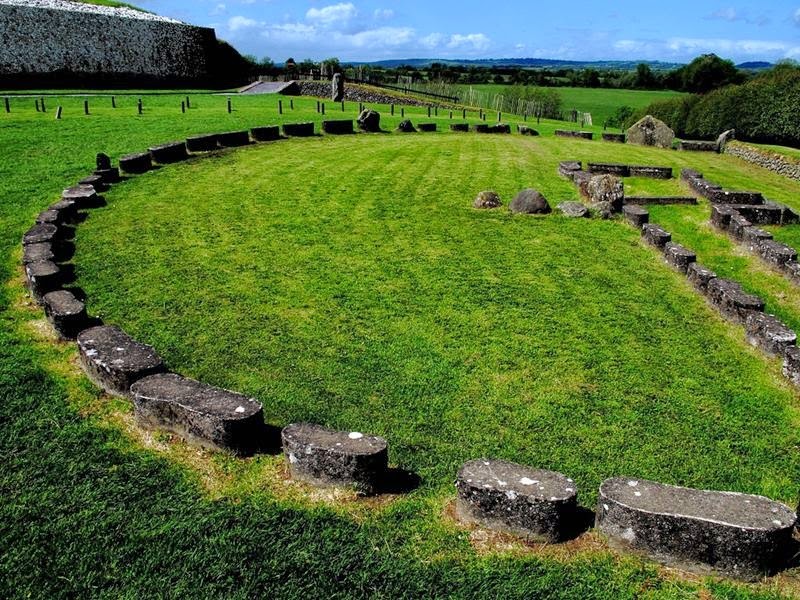 The complex is situated around a wide bend in the River Boyne. 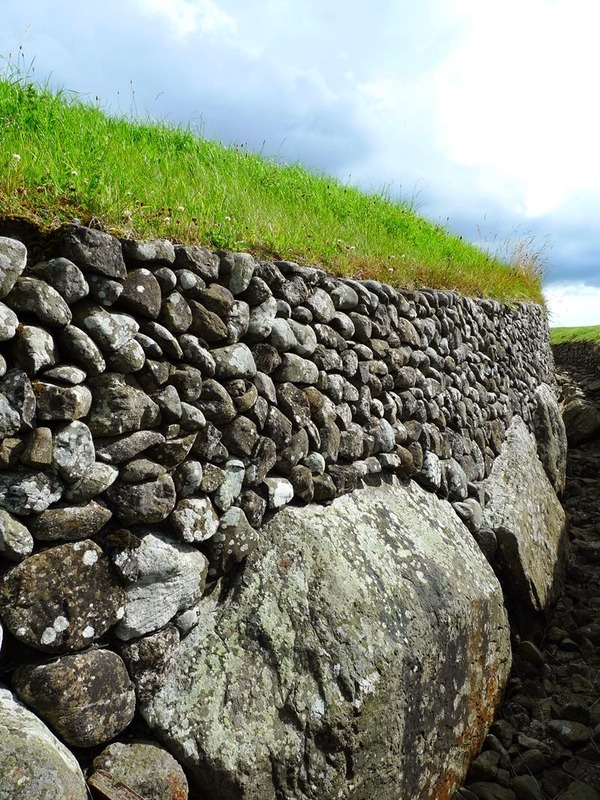 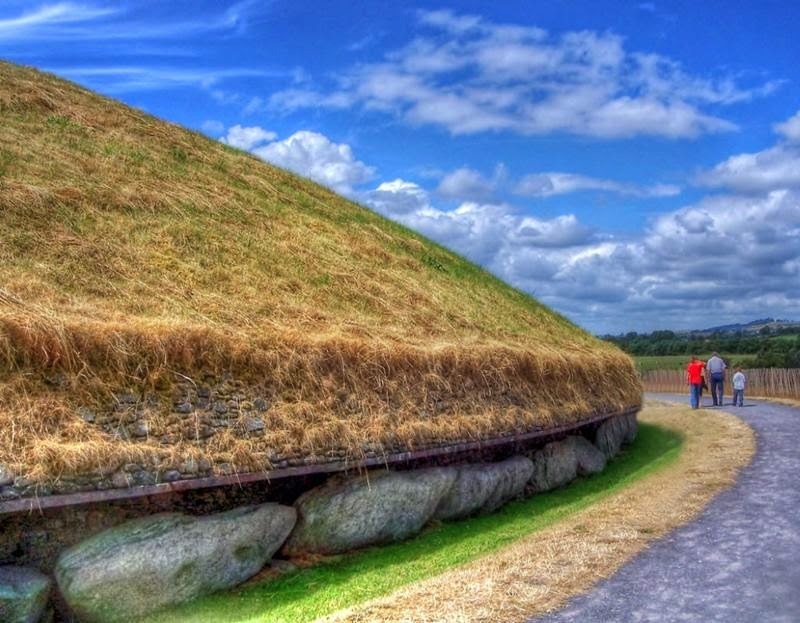 The construction of the passage tomb cemetery in Brú na Bóinne commenced some time around 3300 BC and by this time, the area had developed into an open farmed landscape with evidence for domestic houses and occupation scattered throughout. 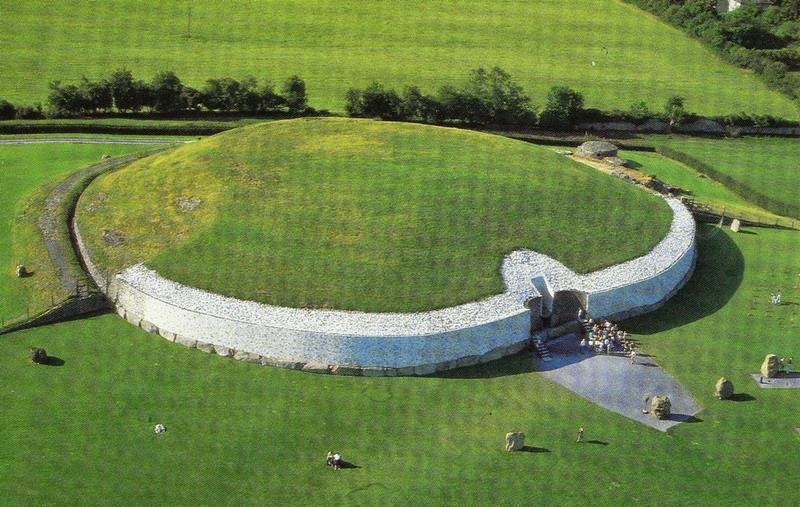 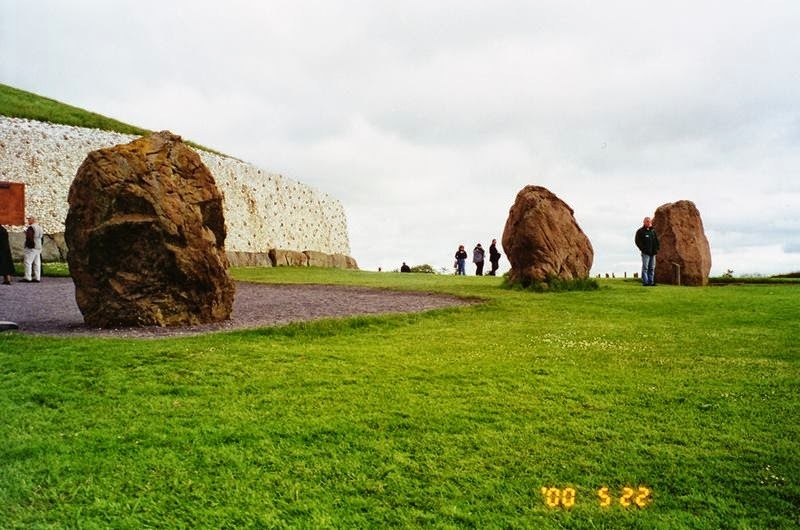 The construction of at least 40 passage tombs displaying a sophisticated knowledge of architecture, engineering, astronomy and artistic endeavour indicates a highly organised and settled society where rituals and ceremonies surrounding the treatment of the dead and contact with the ancestors, required highly complex and permanent manifestation. 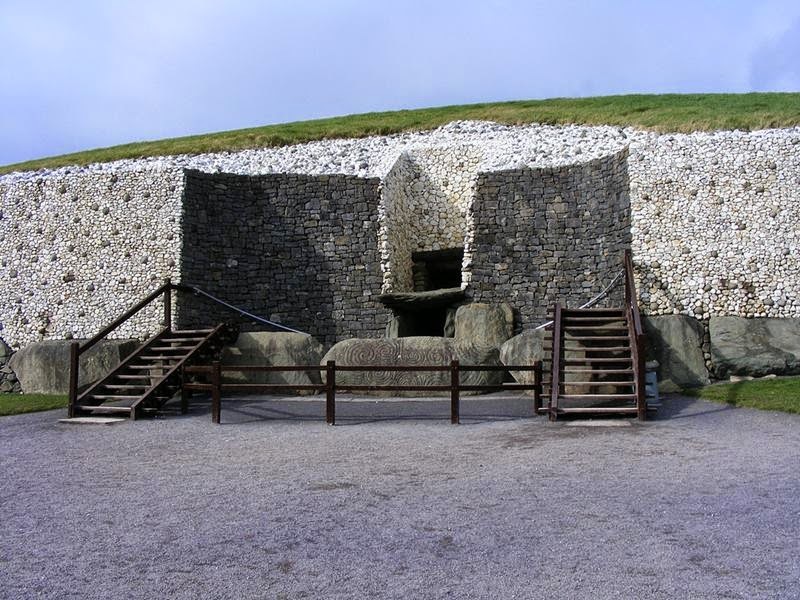 Prehistory — When the tombs fell into disuse, possibly around 2900 BC, the areas surrounding them continued to be the focus of ceremonies, ritual and habitation right through to the Early Bronze Age period (c.2200 BC). 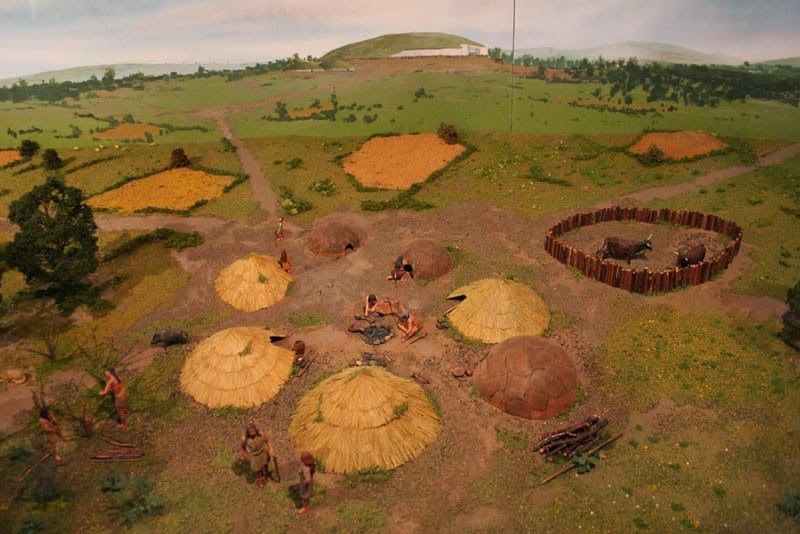 Large earthen embanked circles, pit circles and pit and wooden post circles (all of which have been described as ‘henges’) were constructed. 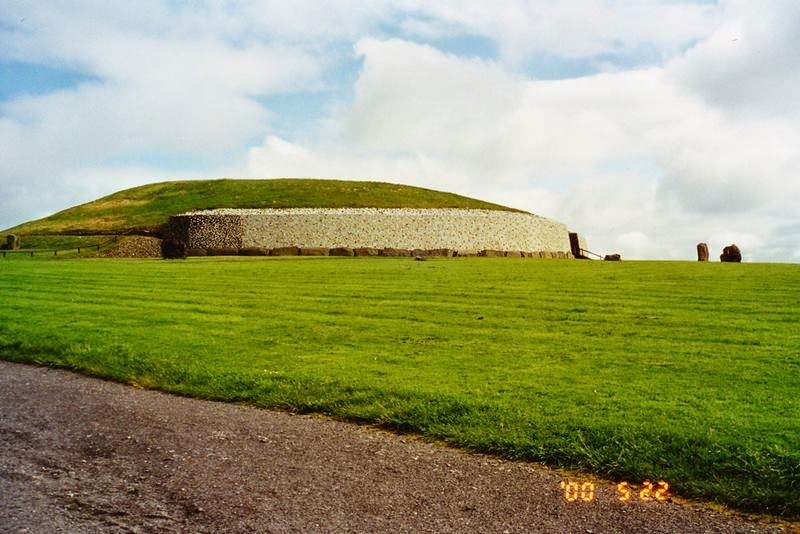 A cursus, comprising a pair of parallel banks and ditches defining a path or routeway can be seen close to Newgrange. 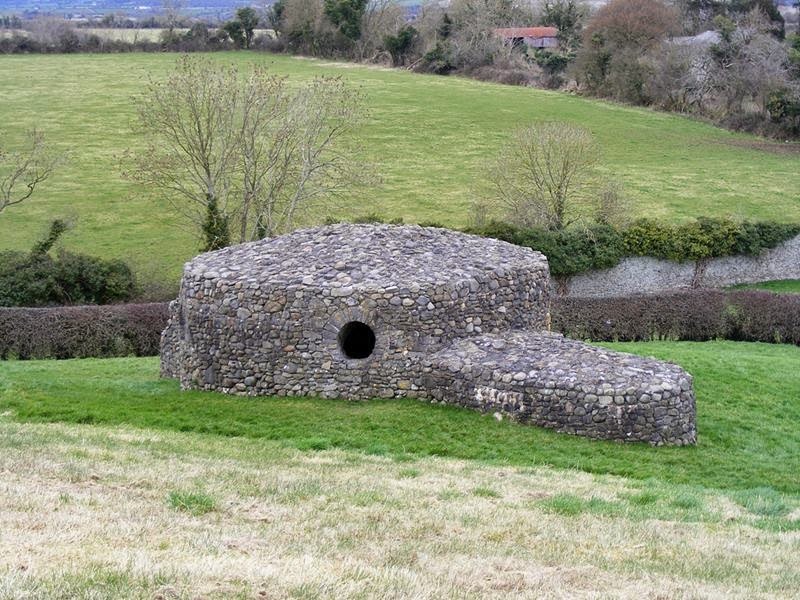 Material relating to the later Bronze age has a relatively low visibility in the landscape. 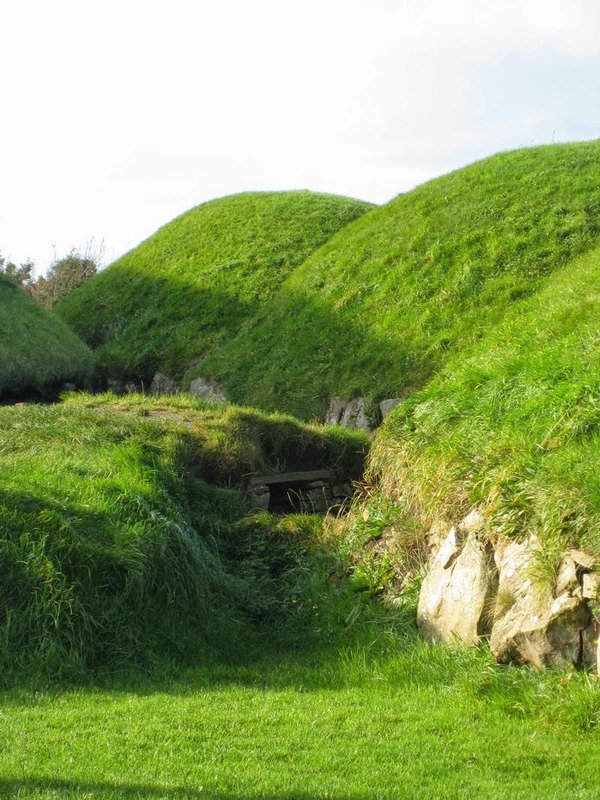 A small number of cist burials, burials within ring ditches and fulachtaí fia (burnt mounds) have been recorded from this period. 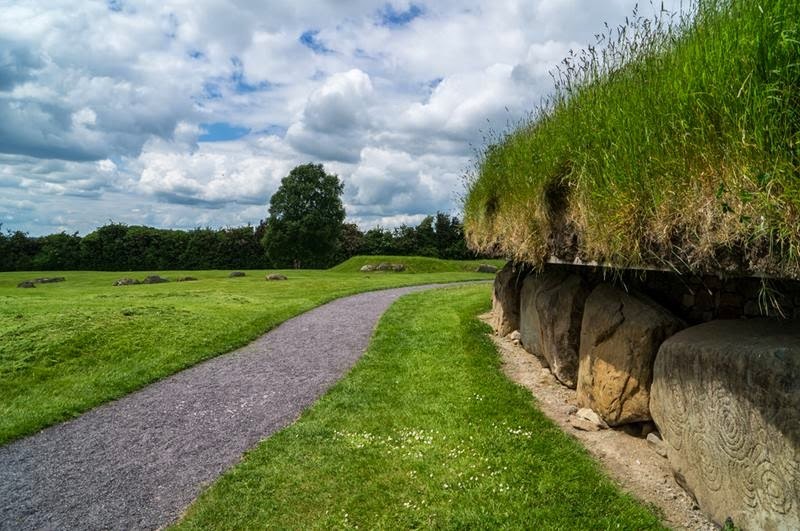 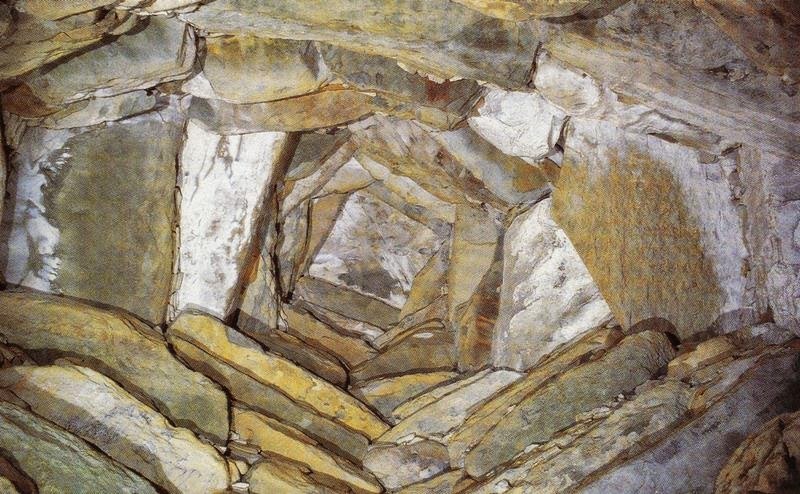 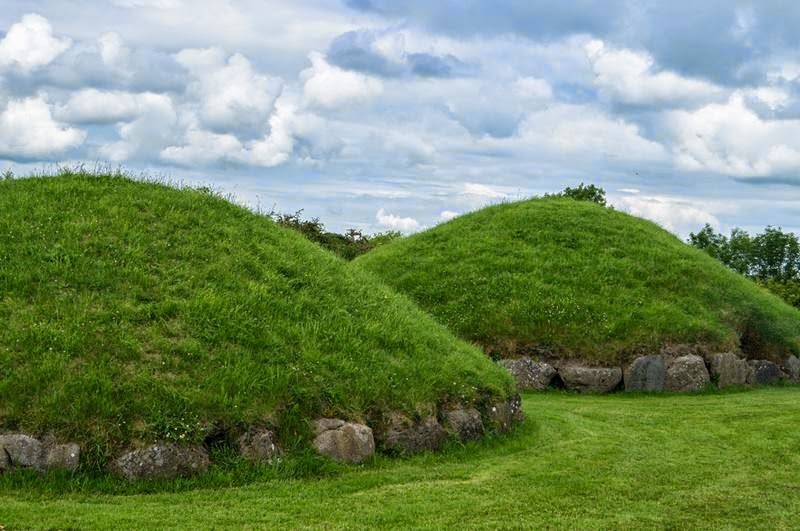 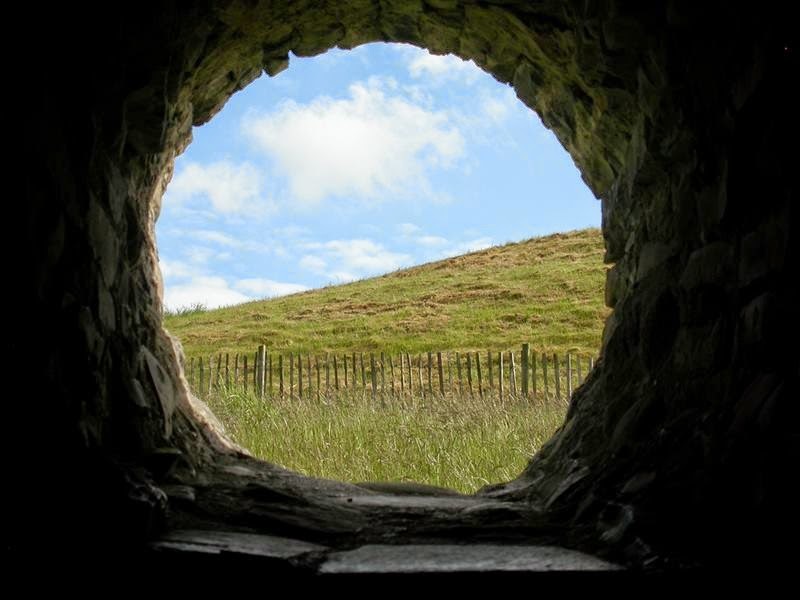 Throughout the Iron Age (c.500 BC – AD 400) there is evidence of sporadic activity, including burials interred close to the main mound at Knowth and on the river terrace at Rosnaree. 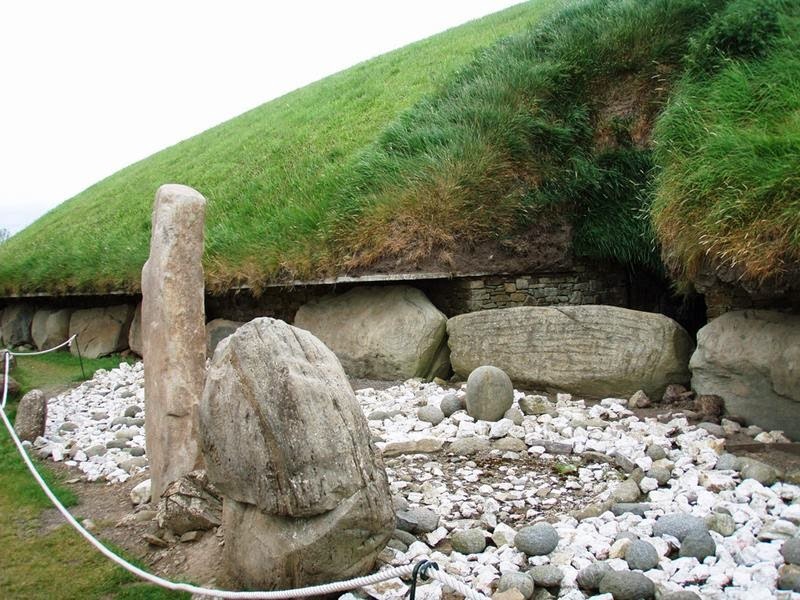 Late Iron Age / Roman items of high value, including coins and jewellery were deposited in the vicinity of Newgrange as votive offerings.